Hello, friends, good news for all those candidates who are looking for a Government Job in the Bihar. The Department has published the official notification for the BPSC Lecturer Recruitment 2017. The candidates can apply for the recruitment through the online mode. The candidates can download the Bihar PSC Recruitment Application Form 2017 from the official web portal of the department that is www.bpsc.bih.nic.in. Please check our careerjob360 website for latest admit cards, results, application forms, Central and State Government Jobs and stay connected with us. 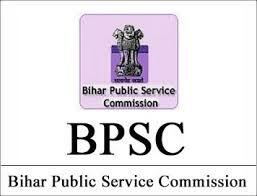 The BPSC- Bihar Public Service Commission has made the official announcement for the Bihar PSC Vacancy 2017. The department is looking for the young and talented candidates for the various posts. The names of the vacant post available are Lecturer posts. There are total 86 vacancies in the department. The interested and eligible candidates can apply for the recruitment through the online mode. The willing and eligible candidates can apply online on or before the last date that is 24th October 2017. Moreover, the essential information about the job process like eligibility criteria, age criteria, application fees, pay scale and the process to apply online for the recruitment is described in the below sections of this article. Therefore candidates must grab all the information by reading this article till the end. The Bihar Public Service Commission is inviting the application forms from the eligible and interested candidate through online mode on or before the last date that is 24th October 2017. The higher authority is looking for the talented and deserving candidates who meet all the eligibility criteria including the Academic Qualification Required, Age Limitations and other such details available in the below article. Educational Qualification: Candidates who want to apply for the BPSC Jobs 2017 must have done BAMS Degree or equivalent from a recognized university or institutions. Age Limitation: The minimum age limit for the candidates is 27 years and the maximum age limit for the candidates is 45 years. Age Relaxation: The relaxation in age will be given only to reserved category candidates as per the norms of the government. Application Fees: For General and OBC category candidates they must have to pay application fees of Rs 150/- and the SC/ST category candidates they must have to pay application fees of Rs 75/-. Selection Procedure: The candidates will be selected on the basis of their performance in the following rounds. Salary Scale: The finally selected candidates will get a healthy amount of monthly salary prescribed by the department. For more information candidates can check the official notification. Candidates who are going to apply for the BPSC Lecturer Recruitment 2017 then they must read the official notification before applying for the post. If you satisfy the eligibility conditions you may apply online from the official website of the department and submit the application form on or before the last date. Here, we provide some steps for your help in the below article. First of all log on to the official website of the department. Then go to the recruitment section on the homepage and search for the official notification for the recruitment. Download the official notification and read all the guidelines mentioned in it carefully before submitting the online application form. Now click on the appropriate link for the application form. Fill all the essential information in the application form very carefully. Then, the candidates have to upload passport size photograph and signature and the required documents in the application form. At last, verify all the details and then submit it. Pay the application fees for the form. Take the hard copy of the application form and keep it safe for future use. Here, we provide all the details about the BPSC Lecturer Recruitment 2017 in the above description of the article. All the interested and eligible candidates are able to apply online for the recruitment from its official website. If anyone of the candidates facing a problem while applying for the post then they may leave a comment in the below query box after that we will help you as soon as possible. For getting more information you can check our carrerjobs360 page and get all the latest updates from here. Our professional team updates this page on regular basis as per the official notification. Bihar Public Service Commission will soon release the Bihar PSC Lecturer Admit Card 2017 from the official website of the department. A large number of candidates had applied for this recruitment and now, they all are looking for the admit card here and there on the internet. The Admit card is a mandatory important to present in the examination hall. The department will soon issue the hall ticket after the application procedure is done. The Candidates can download their BPSC admit card after being uploaded by the authorities on the official website of the department.